do-it-yourself version of the instrument that could be made at home. himself playing an instrument I built for him. Click HERE to view his "Video Response". (only one is used 95% of the time) and 13 sympathetic or drone strings. in tune from month to month -- thankfully, with 15 strings!). as to how my version of the Esraj sounds. screws; a small square of scrap sheet metal and a few regular coat-hangers. the clothesline that I filched). In this, and many other cases, a picture (or a few) is worth a thousand words. Despite having 15 strings, this instrument is deceptively easy to build. 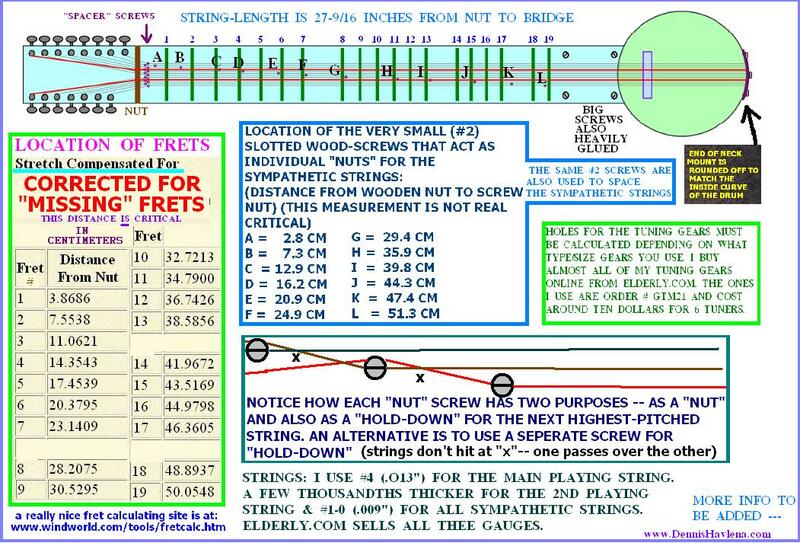 (nut-screws to bridge) the specified 27-9/16 inches, lest the pitch of the notes will be off. of any fret. Remember that when strings vibrate, they "expand" outwards & can hit things. - Holes for mounting the frets must be drilled into the neck at the exact location specified. details can easily be found there. I happened to have a plank of birch hardwood that I used for my neck. head. Make this hole slightly undersized initially, then slowly file it larger until the "neck mount"
one. I was able to make every offending fret work fine and did not have to do this. 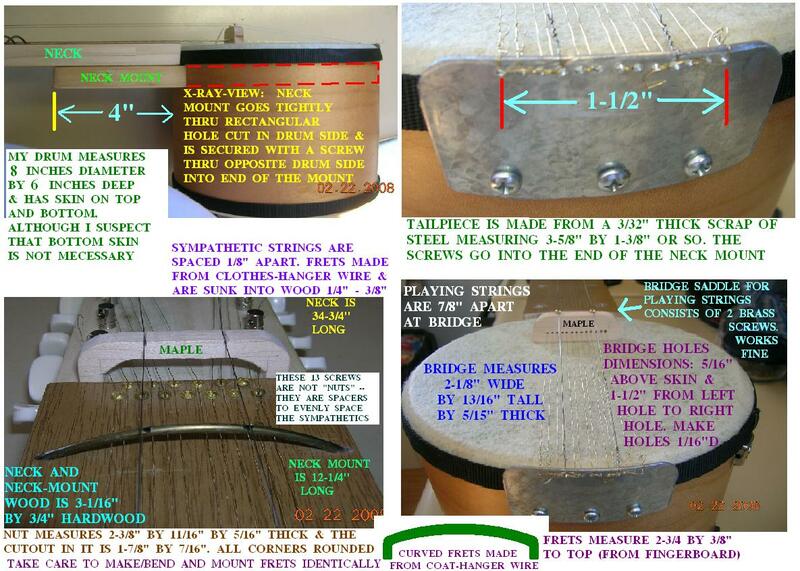 2nd playing string is  .015"
PLEASE let me know if you build one of these.